Tonight in Florida, President Obama received the first truly tough interview he’s had all election season long. Too bad that the only folks who are willing to ask him tough questions have to speak in a foreign language to make it happen. 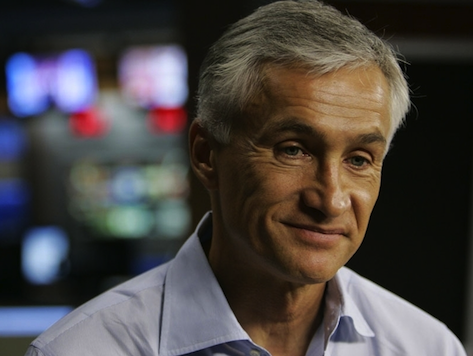 The interview came tonight on Univision, where Obama was knocked about by host Jorge Ramos. Ramos grilled Obama on his promise to pass comprehensive immigration reform: “You promised that, and a promise is a promise,” Ramos chided him. “And with all due respect, you didn’t keep that promise.” Obama then stammered his way through a condescending explanation of separation of powers, completely ignoring the fact that his party was in control of the House and Senate for the first two years of his tenure. But the grilling didn’t stop there. 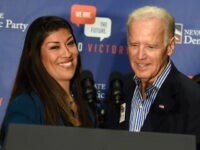 Later, Ramos asked what Obama’s biggest failure was – and Obama took a second bite at the apple, claiming that it was his failure to pass comprehensive immigration reform. A for effort. F for fact. He then blamed Congress for deporting so many illegal immigrants – even though his campaign has touted his crime-fighting prowess when it comes to such deportations repeatedly. Ramos also asked Obama whether his unilateral move to prevent deportations of young illegal immigrants was a political move. Obama once again stuttered his way through an answer about Latino polling. Ramos even asked whether Attorney General Eric Holder should be forced out due to his participation in Fast and Furious. Obama didn’t look good when hit with hard questions. Too bad the only folks willing to ask such questions have to have a translator present to ensure that Obama understands the queries.